Campers Scotland are launching a robust, off road Mitsubishi Delica 4WD Campervan – the D:5 Terrain. Established in 2006 with five Mazda Bongos, Campers Scotland originally started up as a hire company and has grown into Scotland’s premier campervan retailer. After the success of the Hybrid and Tribrid line, the Eco Camper which launched three years ago, Campers Scotland expanded operations by switching to a production line model in order to keep up with demand and streamline the business’s production of bespoke camperisations. Annual turnover has taken a 30% jump in the last year from £1 million to £1.3 million. 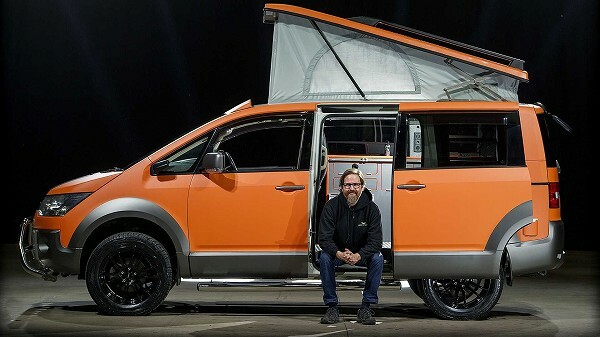 As part of new expansion plans, the company is getting ready for a full rebrand – The Campervan Co. with four distinct sub brands: Campers – low emissions Petrol and Diesel, Eco Campers – Hybrid and Tribrid, Campers Hire and Campers Care – Servicing and maintenance packages plus repairs. 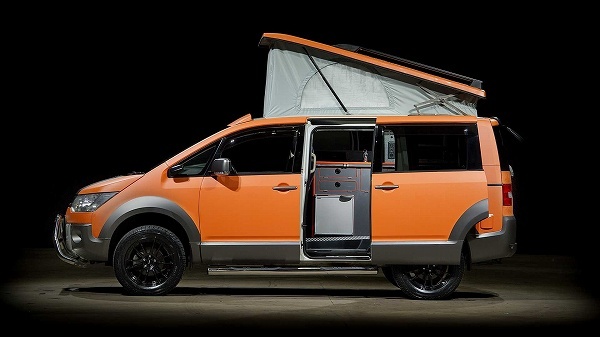 The new Mitsubishi Delica Campervan – the D:5 Terrain is part of the Campers range. The launch of The Mitsubishi Delica Campervan – the D:5 Terrain will be exhibited alongside the highly popular Toyota Alphard Hybrid/Tribrid – the Eco Camper, the new 5-seater Toyota Alphard Hybrid – the Eco Explorer at The Scottish Caravan Motorhome & Holiday Home Show at The SEC In Glasgow from February 7 – 10. Campers Scotland is one of the UK’s largest and most respected Importers of high quality used Japanese vehicles in the UK. We also convert new vehicles and will have further announcements on this shortly. The Company is heading into a rapid period of growth and expansion. We are on track to be Scotland, UK’s Europe’s prime cutting-edge, innovative camper van design and manufacturer with ambitious plans to set up a distribution network and exporting to Canada, America, Europe, Australia and New Zealand. 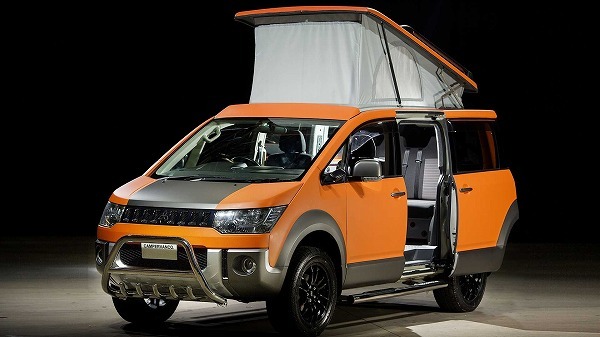 The Mitsubishi Delica 4WD Campervan – the D:5 Terrain starts at £27,995. It delivers 27mpg with 168bhp. It is the equivalent of a 4-star rating for emissions that are 75% lower than required by Japan’s 2005 emission standards and 10% better than Japan’s 2010 fuel economy standards. Each models features a wide array of SRS airbags including, Driver and Front passenger airbags, side airbags, curtain airbags for all three rows, knee airbag for driver. The intelligent key system does not require a key to be inserted into the lock or ignition in order to open the car or start the engine. Often known as keyless go, the system enables the driver to merely keep the key on their person and when within 70cm of the vehicle, opening the drivers, front passenger or tailgate, the locks open automatically upon sensing the key in proximity. The engine is started by simply having the key inside the vehicle, depressing the brake pedal and turning the start switch to the start position. No more looking for keys in pockets or bags. Seamless shifting in this continuously variable transmission. The benefits of this technology include fuel saving through optimisation of engine RPM based on throttle position with acceleration coming from the change in ratio rather than change in RPM. Automatic power side doors available in most models. For those looking for ultimate off-road experience, various optional upgrades are possible, such as chassis strengthening, super-performance brake callipers and disks, heightened suspension and scuff-kits. There are a number of dealer optional roof racks and roof baskets available for the Terrain. The roof basket also has the option of a ladder fitted to the rear tail door. For better night and off-road visibility, our front flood LEDs are a great addition to this unbeatable vehicle. Tow up to 2.5 tons to take extra kit and explore even more of our wild and beautiful countryside.